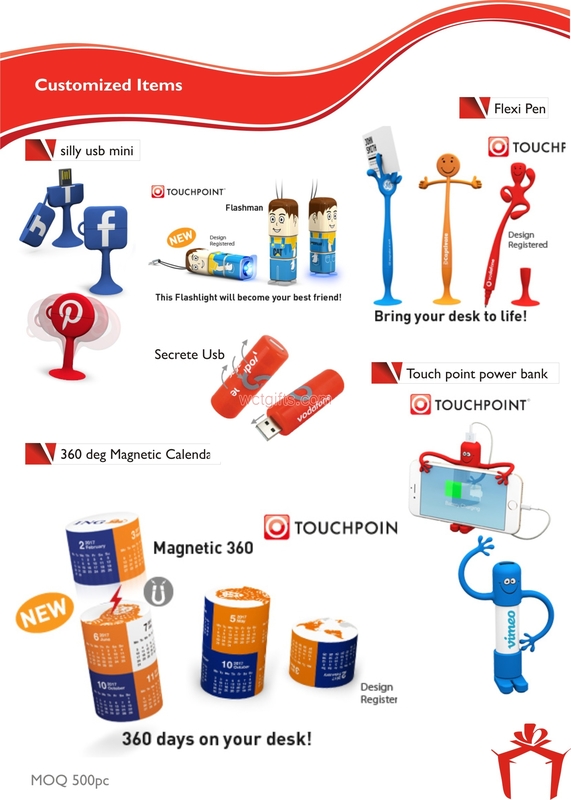 360° Magnetic Calendar, USB, Flashlight and Flexi Pen are some of the products that we can customize for you. Our Customized Items are very helpful during long journeys and various corporate meetings. One can provide specific details to get Customized Items in specific design or size from us. We are trusted by a number of clients all over India for our quality range of Customized Items.